The week has been so busy preparing for Christmas and the arrival of family and friends! I'm sure you can relate. So before I sign off for the year to spend the rest of the time with my family (and I hope you do, too! ), I want to remind you of two freebies for MommyMaestra readers. Gifts from me to you. 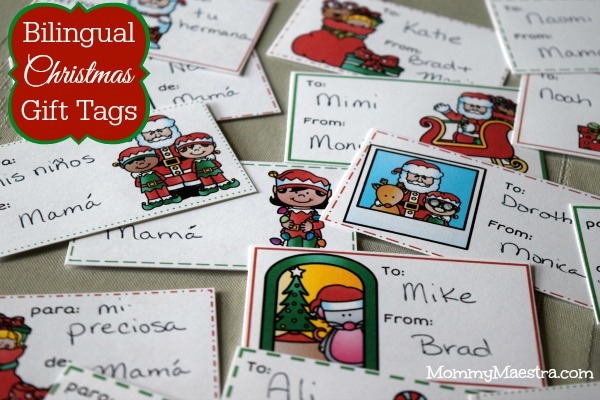 First, get the kids involved in gifting with my bilingual Christmas gift tags. The set comes with a sheet of gift tags with 12 different designs in English and another in Spanish. Second, many years ago, my mother published an adaptation of the famous poem 'Twas the Night Before Christmas in one of her columns (she has been a journalist my whole life). The adaptation has a Latin twist. It was so good, that I wanted to share it with you. 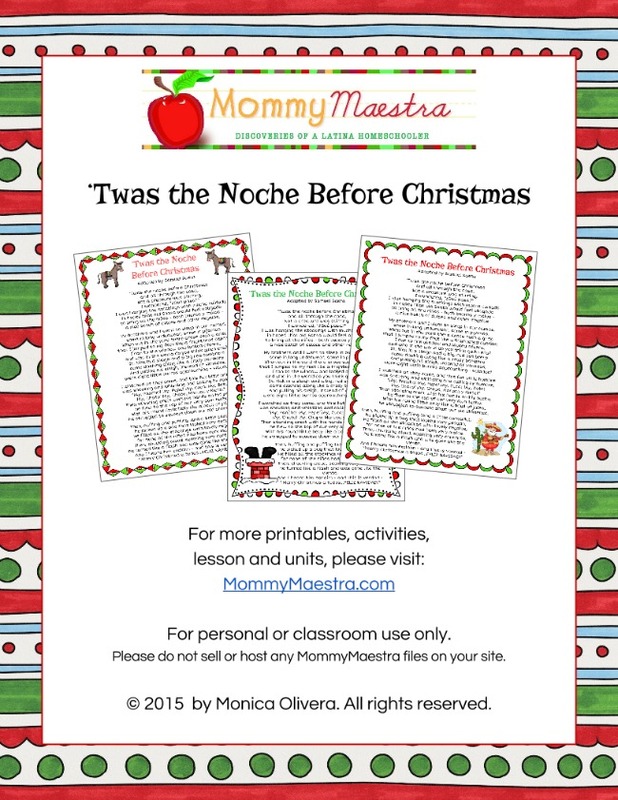 So I received permission to create this FREE DOWNLOAD of 'Twas the Noche Before Christmas. This version was written by Samuel Saenz, who is now retired and living in Texas.